Is The Simplicity Of The PureFitness & Sports MCL800 Exercise Bike Its Strength Or Weakness? 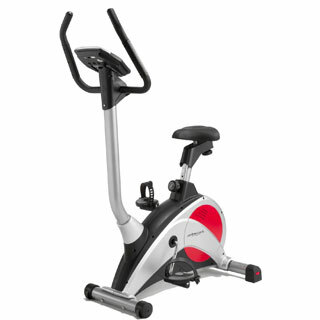 The PureFitness & Sports MCL800 12-Programs Exercise Bike with Heart Rate Control is a nice looking, adjustable and fairly standard example of its type, judging by the photographs and feature lists offered in the product descriptions. It uses a fairly low-weight 7kg balanced flywheel to create 16 different levels of magnetic resistance for buyers to test their abilities as well as a series of 12 pre-installed programmes that deal with different aspects of the workout.